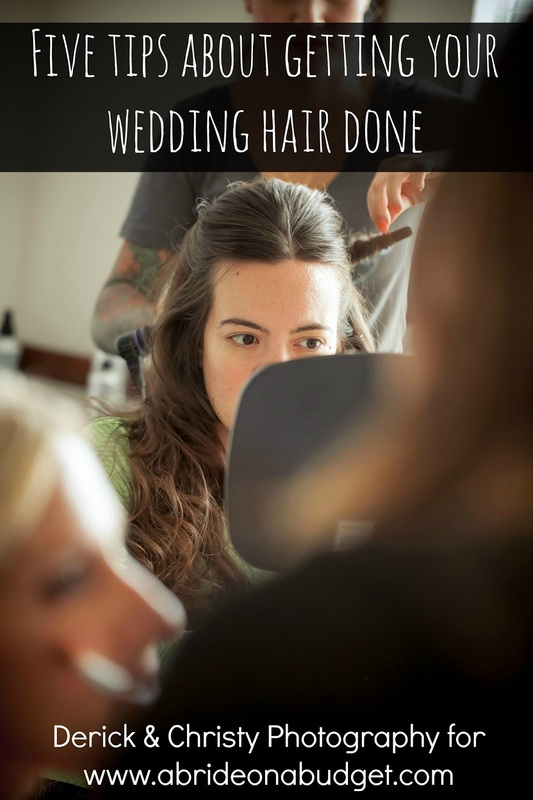 There comes a time in every bride-to-be's planning when she just says, "Oh forget it. I don't even care anymore." And whatever task was happening right before that statement, it gets done in the easiest way possible. For me, it was the menus. 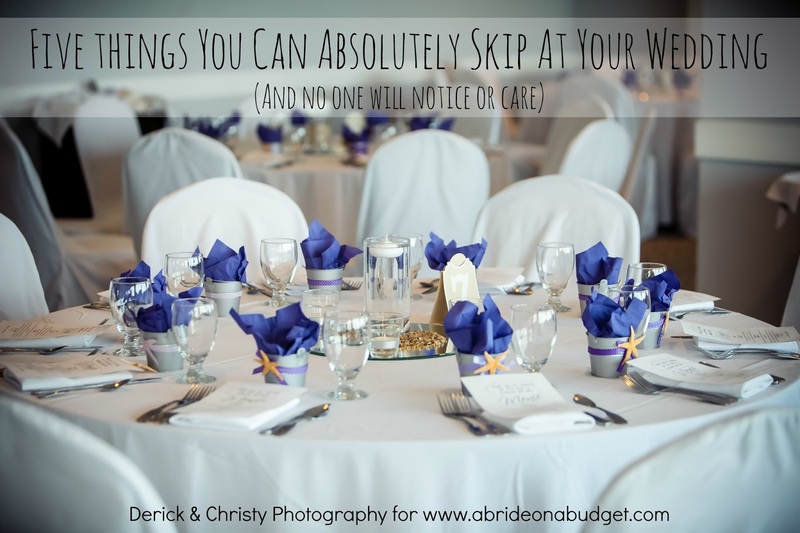 We had a handful of days until the wedding and I just couldn't deal with them anymore. The design wasn't coming out the way I wanted, I had no desire to actually order them, and my lack of color ink meant they were going to be black and white. "Oh forget it," I said on the wrong side of 6am. "I don't even care anymore." I finished them quickly, printed them on printer paper, and that was that. They actually came out beautifully and I really liked them, so I'm glad I followed the path of least resistance that time. If you're at that point with your beach wedding centerpieces, don't worry. I have a simple DIY tutorial for these really easy, but very pretty, mason jar centerpieces. You can put them all together in a handful of minutes and move on to the next task. 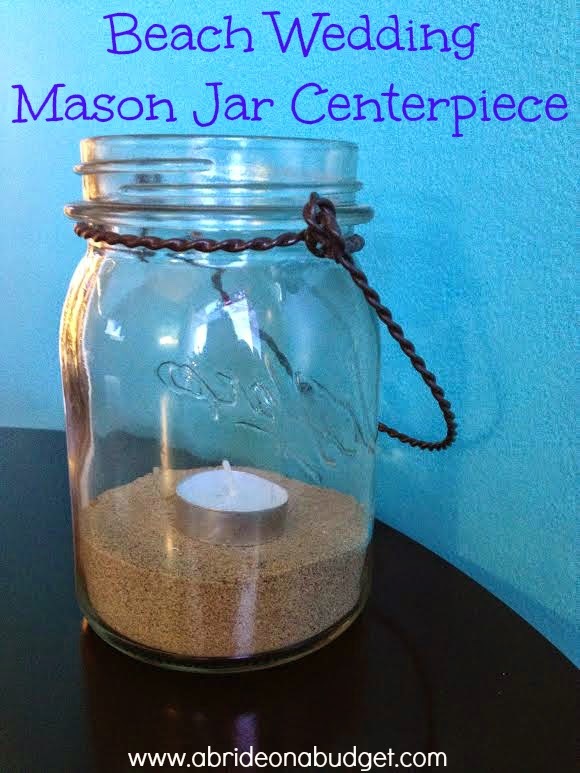 Fill the mason jar with about an inch of sand. Place the tea light in the middle. You're done (unless you want to add a few shells around the tea light). Seriously, it's one of the easiest mason jar centerpieces there is, especially if you buy the mason jars with handles. Those will come to you with handles that fit already on your mason jar. You don't have to worry about wire clippers and figuring out how to make a handle. Makes your life easier, plus the handle does make a big difference since these are already so simple. Make one for each table, plus an extra or two for your welcome table, and that's it. You can light the candle on your wedding day (or not; either way is pretty). 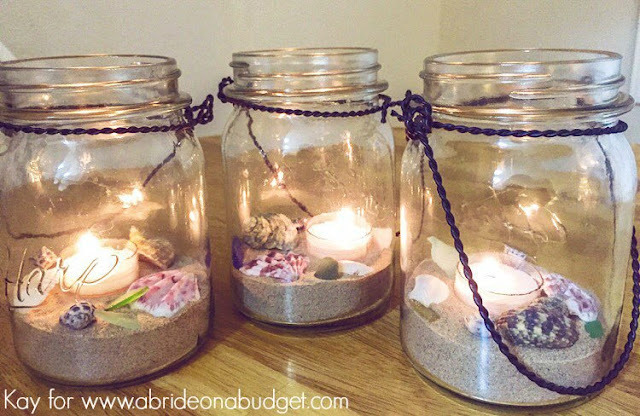 BRIDAL BABBLE: Do you think you could make these beach wedding mason jar centerpieces? These are so simple but so pretty. I am already married so I am thinking of making these for my Beach themed bathroom. But I did pin them to my Wedding Ideas board. So fun! Visiting from the artsy fartsy linky party. That's what I did for our wedding...except it wasn't mason jars and not at the beach. I had shells and starfish. What a great idea! I think I'll make these to use on my deck this summer. This is a neat and simple idea for centerpieces! I can use these on my patio. Thank you for sharing. I got to that point with our wedding centerpieces, too...we just did different fruits in various size vases haha. THIS is a gorgeous and easy idea that I want to use for parties now too! Thanks for linking up at MeetUp Monday - Hope to see you there again this week! 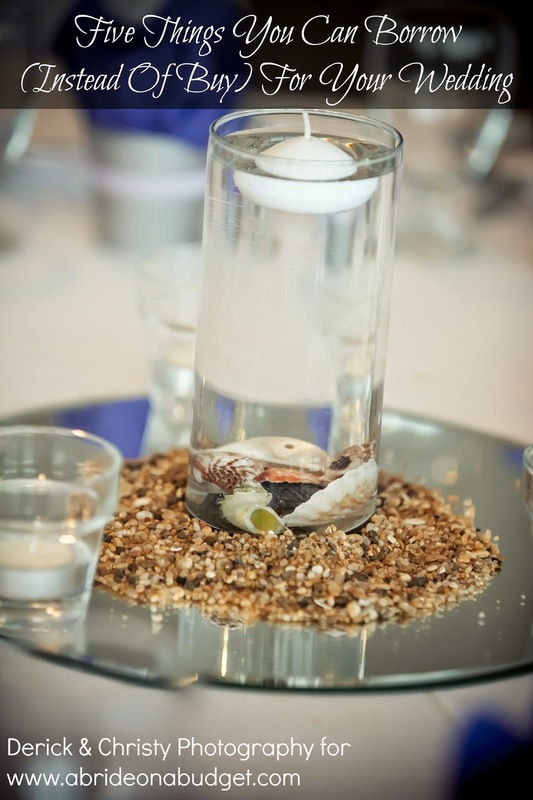 Wow, this is truly a simple yet brilliant idea for a centerpiece. Great job!! I am going to have night wedding at one of the beach event locations. I would love to use this simple idea of Mason jar centerpiece. Thanks for the post! These are super cute! I love how inexpensive and versatile these are. Oh how I love a simple and pretty craft! What a beautiful, simple idea...for a wedding or any time! Love it and will definitely try it.